When Katie Cox (Tilda Swinton) descends into her husband's basement office and copies financial records off of his computer, we get a glimpse of a book on the desk, a book that looks to be George F. Kennan and the Origins of Containment: 1944-1946: The Kennan-Lukacs Correspondence. This should not surprise us. We have previously heard Oswald Cox (John Malkovich), while struggling to dictate his memoirs, declare: "The principles of George Kennan—a personal hero of mine—were what animated us. In fact they were what had originally inspired me to enter government service." 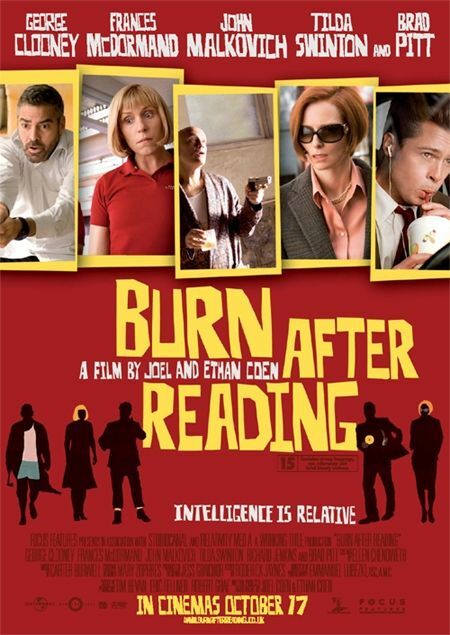 Burn After Reading is a film about containment and knowledge, or, to put it another way, a tale of wars against chaos. Necessarily, it is a farce. Continue reading at Press Play.